Here is a famous song performed by the very glamorous Dolores Gray. 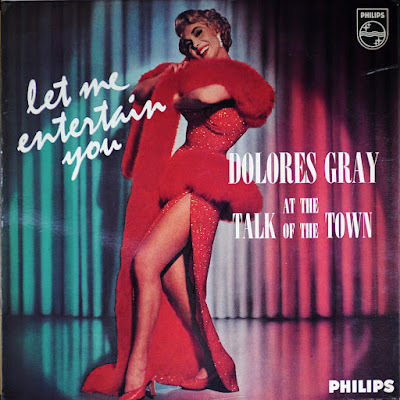 Dolores Gray (1924, Chicago - 2002, New York) was a well-known actress, singer and dancer, a Tony Award winning Broadway star in the 1940's-1950's. She was tall, blond, long-limbed, statuesque and shapely and she had a big contralto voice. She was opulent, hard-looking, sultry, and distinctive for her sharp somewhat equine features. During her successful music career, she sang Marilyn Monroe's part on the soundtrack to "There's No Business Like Show Business" (1954). A club singer, she was regularly singing in the magnificent Empire Room of the New York Waldorf Astoria. She was a popular performer on the concert circuit, singing everywhere from New York's Copacabana to the Hollywood Bowl. She played many roles on television variety shows with Milton Berle, Steve Allen, Ed Sullivan, Perry Como, on the Bell Telephone Hour and others. In 1955, she briefly signed with MGM and appeared in such films as "Kismet" and "It's Always Fair Weather" (co-staring with Gene Kelly and Cyd Charisse). Her final televised appearance was in the "Silver Nemesis" episode of "Doctor Who". Among her many stage roles, she appeared in "Carnival In Flanders" (1953), "Destry Rides Again" (1959), "Sherry!" (1967) and "42nd Street" (replacement, 1986). She also performed in "Annie Get Your Gun" in London (1947). During her life Dolores was famous for her extravagant life style, outlandish clothes and "Auntie Mame"-like joie de vivre. Enjoy Dolores' warm, caressing voice and great style! 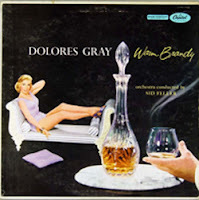 And here are 4 other examples of the style of the fabulous Dolores Gray!